KAMPALA – A new dossier cataloguing a procurement scandal in which billions for the cancer drugs have been swindled has shined a spotlight on the never ending fights at the ministry of health, with the Permanent Secretary Dr. Diana Atwine now said to have drawn her guns against the head of the Uganda Cancer Institure Dr. Jackson Orem. Dr Orem, a highly respected figure within the medical circles has led the building of the Cancer Institute at Mulago from scratch into a formidable force and has insisted on it’s independence to procure the drugs, after winning the support of the Speaker of Parliament Rebecca Kadaga and Prime Minister Dr. Ruhakana Rugunda. Dr. Atwine and Health Minister Dr. Ruth Jane Aceng, are said to support a previous arrangement where the drugs were being procured through the National Medical Stores, the institution at the centre of the scandal, with its head Mr Moses Kamabare accused of conniving with pharmaceutical companies to inflate the prices. The dossier by a one Jeannette Mugisha is complete with evidence of foul drugs and a 2016 Auditor General’s report that questioned the pricing of the drugs and indicated a loss of more than Shs 600 million has resulted from over pricing. “… most of these fake drugs are supplied through Kim’s Pharmacy based in Kibuli, where Mr Kamabare is rumoured to have shares, instead of dealing directly with manufacturers, which would then take away the excuse of deliberate expensive invoices,” says Ms Mugisha’ S dossier. “The Minister of Health Dr Jane Aceng and the PS Dr Diana Atwiine have always waited for Dr Orem’s absence to go and hold decision making meetings at UCI with his deputy, Dr Victoria Walusansa, to undermine the Director and subvert UCI ambitious and progressive agenda,” Ms Mugisha writes. The dossier names Minister Aceng and PS Dr. Atwine as beneficiaries of the scandal through real estate acquisitions in Ntinda and Kulambiro Kampala suburbs. Dr. Atwine has dismissed the allegations in the dossier saying her agenda will not be diverted by rumours, while Mr Kamabare could not be reached for a comment for this article. 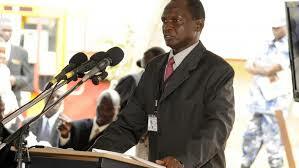 “I don’t know what you are talking about,” Dr. Atwine said by telephone. The former director of the State House Health Monitoring Unit and a personal physician to President Museveni is no stranger to the controversy in the health sector and the dossier makes mention of that. Her arrival at the ministry a year ago has already seen the departure of senior doctors, who are uncomfortable with her work methods, accusing her of harassing senior colleagues. One of those to leave the ministry is Prof. Anthony Mbonye, the former acting director general of health services, who resigned after a battle with the PS and the minister that he blamed on intrigue. The matter ended up in court, with a High Court judge quashing the recommendations of the Inspector General of Government against Prof. Mbonye. Others that have since left include Dr. Jacinto Amandua (commissioner Clinical services) , Andrew Abunyang (Commissioner human resources) and Dr Paul Kaggwa (commissioner community health). Prof. Mbonye who told colleagues he was done with “junior doctors looking for survival” is reported to have got an international job offer in Geneva. “I resigned and left them and I will concentrate on research that will be useful to improve health service delivery,” a colleague quoted Prof. Mbonye as saying. It is understood that colleagues have been asking the cerebral Dr. Orem to quit the cancer institute and join the colleagues who have thrown in the towel. “Although Dr Orem has been been under constant threat of being axed, he has maintained that he will wait for the official letter sacking him, even when his international colleagues have been persuading him and giving him job offers, to save himself from the humiliation meted on his person by the two ladies at the MOH,” Ms Mugisha’s dossier reads. Dr Orem refused to comment on the allegations in the dossier or his next move. 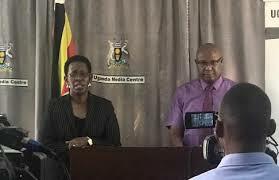 Dr Atwine revealed that the ministry is in the process of filling up all vacant positions, in what she described as implementing a new structure.